3. I wanted it crispy so I let it cook, just when it turned dark green I went into to catch a glimpse of the tv leaving it on high flame. When I returned the bhendi was pretty charred to perfection. 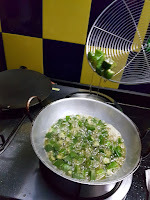 Mistake one - when you add bhindi into the hot oil it bubbles up and lot throwing splatter of hot oil all around. 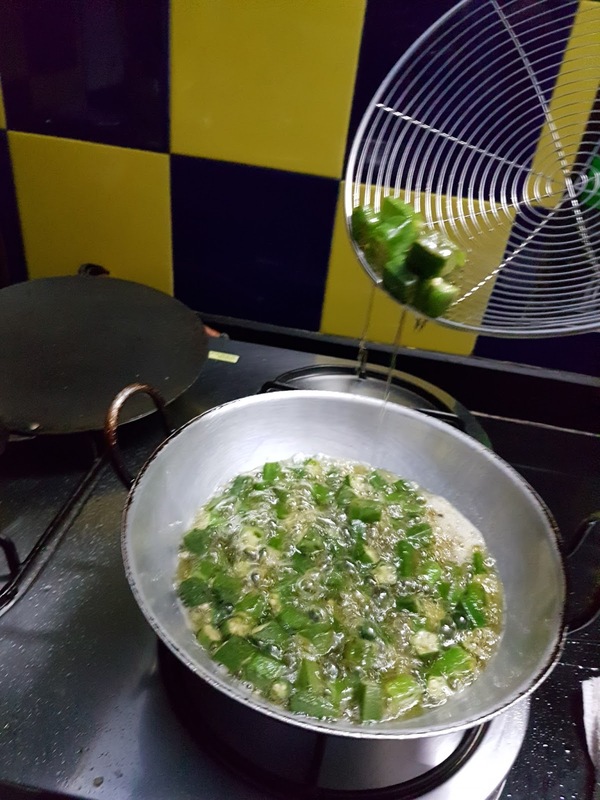 Always keep the flame a bit low and observe extreme caution while putting lady finger or any other moist vegetable in a kadai (shallow pan). Mistake two - the finally cooking stage of the bhendi is very quick so keep an eye. And never leave something on high flame and go out of the kitchen during the final stage of cooking. 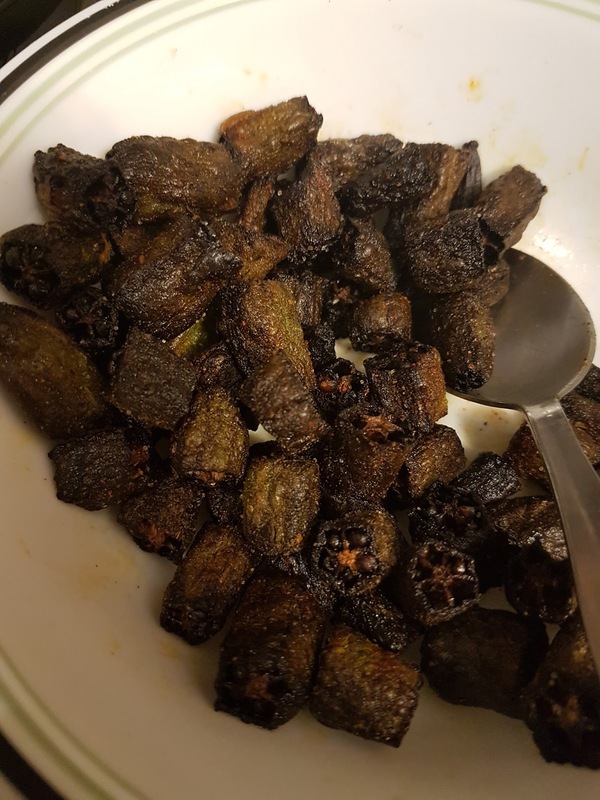 Result of first try - Burnt bhendi, my husband still ate it saying "I like it extra cruncy." My mother in law ate it saying, it good, don't worry about it. I dint eat it, I couldn't be as nice to my own food as the rest of my family. After a fortnight I gave it another go. 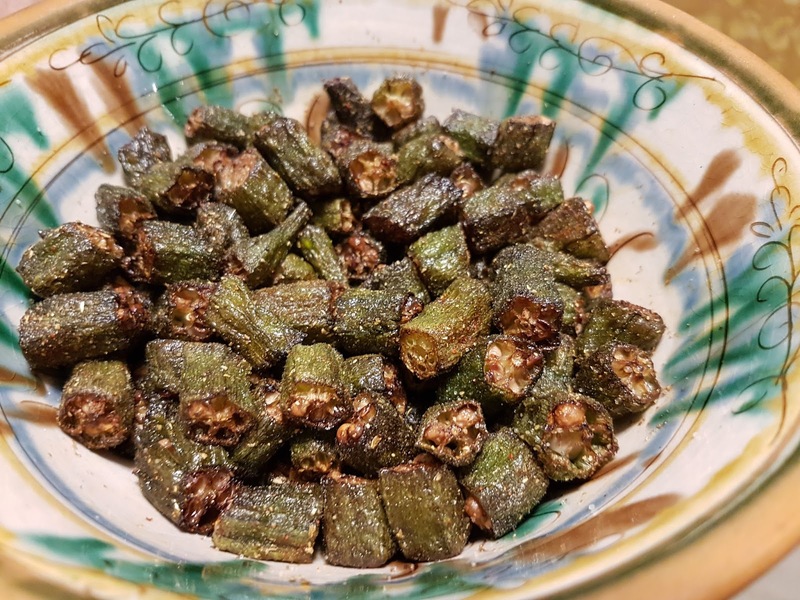 Mistake one - after cutting the okra I put it in water so that it will stay fresh for when I fry it. I do that with potatoes to keep them from browning. But little did I know okra and potatoes do not work the same way. What I had two hours later was a gooey sticky mess coming out of the okra. It looked like someone let loose a bottle of glue in the bowl. Mistake two - trying to clean away that stickiness. it doesn't work. I spent almost 30 minutes trying to wipe off all the liquid gooey stuff with a kitchen towel and nothing happened. you can really get rid of that. How I worked around this one? 1. asked my mother in law if it was still edible. 2. went on to fry it. After a while the stickiness melted away. 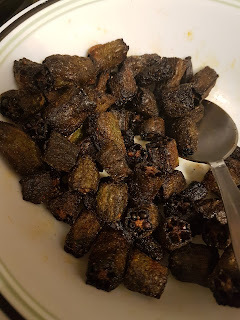 Though my okra wasn't as crispy. but still cooked well. 2. heat the oil and once it's hot gently add the bhendi. 4. remove from the fryer and drain off excess oil. It can be served as a main dish or as a secondary dish with any other gravy or curry.